Two things I trust implicitly: 1) God's power and might, and 2) my joy at getting to share in his presence. My best efforts will always fall short, but God's grace is greater and more glorious than my best efforts! The faultlessness that I have when I stand before him is based on his grace and mercy. How can I not praise him from a thankful heart and anticipate seeing him face to face in glory? 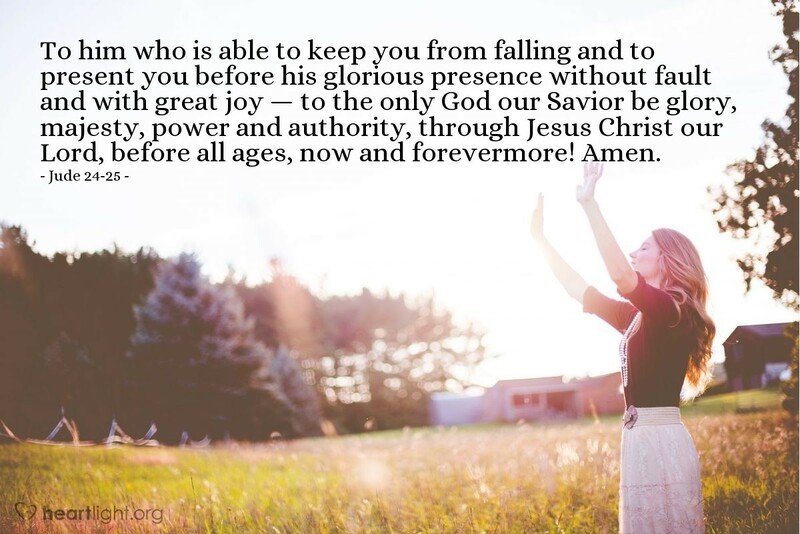 Father, you are gracious, you are glorious, and you alone are God! I praise you for what you have done in my life through your transforming Spirit. Please strengthen me and keep me in your care. I am confident about my salvation because of your greatness and grace. Fulfill your purposes in me and bring me to your throne of glory with great joy. In Jesus' name. Amen.